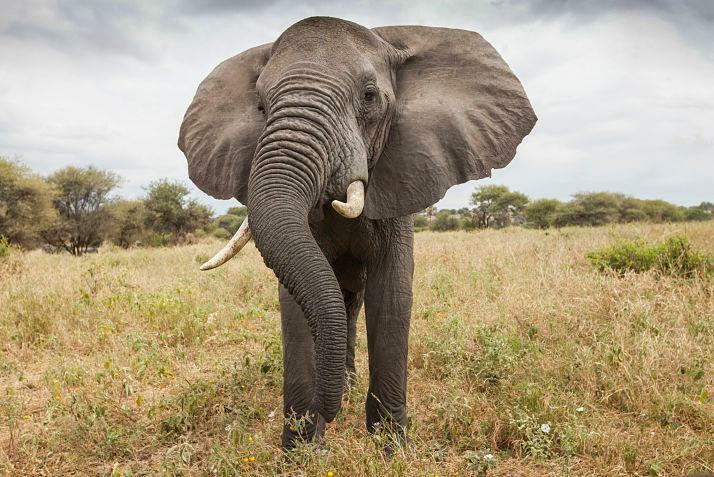 WildAid, African Wildlife Foundation call for a sales ban and an independent inquiry on Hong Kong’s ivory market after investigators find systemic failures to control trade HONG KONG (23 October 2015) — Hong Kong’s “legal” ivory market is willfully obstructing newly announced efforts by China and the United States to end ivory sales, at a time when thousands of African elephants are dying at the hands of poachers, according to a new report released by WildAid and African Wildlife Foundation with accompanying undercover footage provided to the organizations. While China and the US have recently pledged landmark commitments to halt the ivory trade, the Hong Kong government has resisted such a move. Officials from Hong Kong's Agriculture, Fisheries and Conservation Department (AFCD) continue to insist “the Hong Kong government has strict control mechanism in place over sale of ivory” and is comparable to other nations. In fact, nothing could be further from the truth. Over several months, investigators uncovered overwhelming evidence of ivory traders flouting licensing regulations with impunity, coaching tourists on how to smuggle purchased ivory, and routinely replenishing legally held ivory stocks with illegal ivory laundered into Hong Kong from recently poached African elephants. Click here to download the full report. WildAid and African Wildlife Foundation call on the Hong Kong government to ban ivory sales, and to conduct an independent inquiry to address longstanding regulatory loopholes and illegal smuggling. “The corruption and obfuscation as detailed in this report is a clear indictment of Hong Kong’s failure to stop international criminal syndicates who see this region as a safe haven for smuggling,” said WildAid CEO Peter Knights. “History has shown that legal ivory sales only serve to provide a cover for illegal trade, which fuels the rampant poaching we see across Africa. If elephants are to stand any chance at surviving, Hong Kong must join China and the US in shuttering its market.” Patrick Bergin, CEO of African Wildlife Foundation, said the new report “exposes the impossibility of ‘controlling’ the trade in ivory.” “The profits are too high and the system is too easy to game to think we have any hope of controlling this trade through a bit of paperwork and lax regulations,” Bergin said. “By stopping all ivory trade, Hong Kong’s ivory trafficking industry will lose its disguise and ivory traffickers in Hong Kong will no longer be able to operate with impunity. They, and not our elephants, will become the targets.” As recent seizures of wildlife product shipments have shown, Hong Kong remains a hub not only for ivory, but also for other illegal wildlife products, with enforcement agencies ill-equipped to inspect the sheer volume of cargo entering the region. For example, in early October Indonesian authorities seized 3,000 whitetip shark fins destined for Hong Kong, which does not inspect shark fin shipments. Swim bladders from the totoaba, a critically endangered fish found only in Mexico’s Gulf of California, have long been smuggled and openly sold in Hong Kong, a fact only recently acknowledged by the AFCD. “Time and again, the illegal ivory trade and ivory laundry in Hong Kong have been exposed by international NGOs through undercover operations,” said Elizabeth Quat, an active wildlife conservationist and Hong Kong legislative councilor. “I have related these problems to the Hong Kong Government many times and have been pushing for the loopholes to be closed. Their response has been slow, with no effective measures implemented to crack down on illicit sales and exports. Hong Kong’s illegal trade continues, and elephants are dying as a result.” Undercover video provided to WildAid, African Wildlife Foundation and WWF-Hong Kong from independent investigators show definitive proof of traders engaging in illegal activity. One vendor, for instance, admits to the investigator that he acquires smuggled ivory to replenish his “legal” inventory. Trader: “When [the international commercial ivory trade] was outlawed in 1989, we registered our stocks with the Hong Kong government ... all materials were registered, but the record was not in detail,” the retailer said to an investigator posing as an ivory buyer. “They only record the weight of my raw materials and finished products. So I can simply exchange with anything. After I sell an [ivory] item, I can use illegal ivory to make another item to top up my stock again. The government officials have no idea on how to govern.”* From October 2014 to August 2015, investigators visited 94 confirmed ivory retail outlets in Hong Kong, a Special Administrative Region of China. Of these, only one retailer displayed an unadulterated possession license visible to customers. If they were visible at all, possession licenses at other locations were partially obscured, damaged, expired or tampered with by redacting key information on the maximum quantity of a trader’s licensed ivory stocks. Traders also boasted of the ease in which they can acquire new ivory from Africa and gave undercover investigators posing as customers ample advice on how best to illegally export ivory out of Hong Kong. “In light of the glaring corruption among Hong Kong’s ivory traders, we recommend that Hong Kong immediately ban the sale of ivory, establish a dedicated wildlife crime unit and provide adequate funding to enforce a ban and better detect illegal shipments coming into the region,” Knights said.